3:30 pm - 4:00 pm: Check-in - Please make sure you stop by the registration table to check in. There is no charge to attend this event, however, ONLINE registration is required!! Your name badge will be available to you at the event and must be picked up, as it is your ticket into the event. While there is no charge, please remember, this is a very popular event and seating is limited. If you register and learn that you are unable to attend, please contact us at (817) 336-2491 to cancel your registration so that we can share the opening with the waiting list. Chamber Engagement Insight (formerly known as Membership 101) is an event where you can learn more about making the most of a Fort Worth Chamber membership. Also a great opportunity to network with new and long-term members. 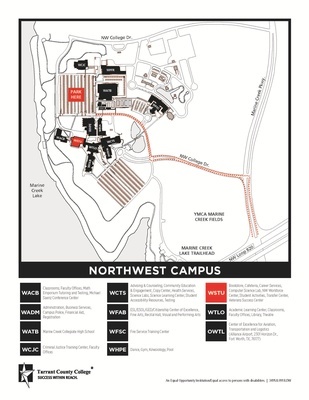 This month, the meeting is being hosted by Tarrant County College Northwest. Light refreshments will be provided. The event includes information on how to set up your online profile and top ways to get you started with your membership experience. Such as ways to engage in committees and councils, upcoming Chamber events and how to register for them. Additional insight on the Chamber's new strategic plan will be presented by one of our Pillar SVP's. This month Dr. Anthony Edwards, SVP of Talent Development, Attraction, and Retention, will be providing an update on local talent initiatives -- How are the local colleges and Chamber partnering to help you hire your next rockstar?